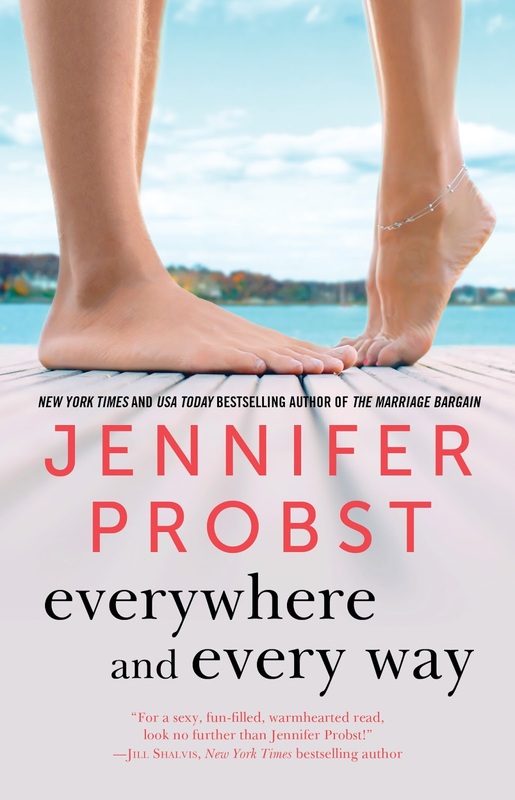 EVERYWHERE AND EVERY WAY by Jennifer Probst coming May 31st! one of his moves was measured and studied in shaking silence. He’d been stupid to put the bag of rawhide bones near his bottles of precious bourbon, not realizing that each time he’d get a drink, the goofball duo would assume they were getting treats. Bodies finely tuned, ears pricked, tongues lolling in helpless excitement, these two were impossible to say no to. Caleb bit back a smile. He’d found the two puppy mastiffs tied to a tree during a job. Abandoned, dehydrated, and starving, with sores on their bodies, they’d likely been out in the woods for a while. After a vet visit that saved their lives, Cal couldn’t stand the idea of them going to the shelter. They refused to leave each other’s sides, bonding from the horrific incident, so separating them wasn’t an option. His father hated dogs and probably would’ve left them in the woods, deeming animals an unnecessary burden in life. Cal let Christian win most battles, since it was easier. But not this one. He’d decided to foster until he got them both a home together, but after a few weeks, Cal faced the truth: he loved them. He decided they already had their home—with him. Because Caleb had tumbled straight into love with the gentle giants, who had no manners, little attention, but huge hearts that reached out and soothed his own. They’d torn up his house pretty good the first few months, but after they realized they were safe, they turned into big mushes. Towering to his chest, almost two hundred pounds each, they resembled intimidating, ferocious beasts until you looked into their faces and saw the joyous aban- don in their gaze. Unfortunately, they sucked at commands and rarely controlled themselves when meeting strangers. Most dogs wouldn’t have recovered from their trauma. But Gandalf and Balin had a zest for life no one could steal from them. They reminded Caleb of all the good things in the world worth fighting for. Even his father had surrendered. Though he muttered about their sloppy behavior, Christian had loved the dogs with a passion Cal rarely saw him show toward anything other than work. Gandalf and Balin were known to flank his father and gaze at him in adoration while he watched CNN every night, sharing his popcorn and commenting on the sad state of the world. There weren’t too many people who missed Christian Pierce, but Caleb’s mastiffs still waited at the door as if his father would surprise them by coming through it one day. Maybe there’d been hope for the old man, after all. 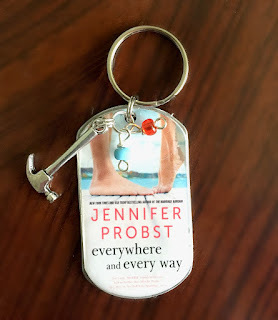 We have a copy of this book & a keychain to giveaway! A Giveaway from the author! I want to read the book because it looks like a great summer read. 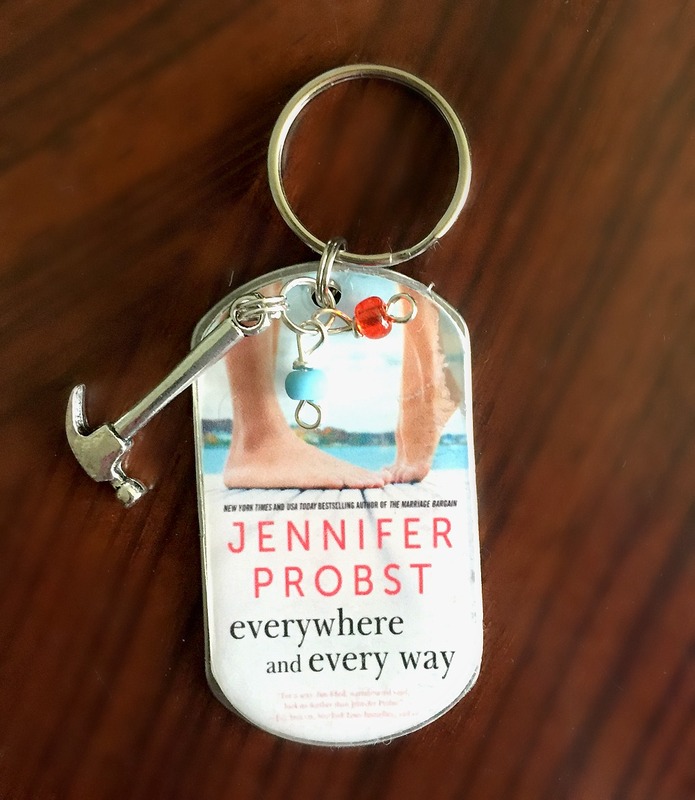 I want to win because I read all of Jennifer's books. I'm a fan!